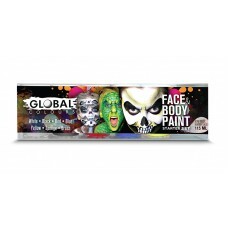 NEW to the Global Colours range is this fantastic Starter Pack Set. 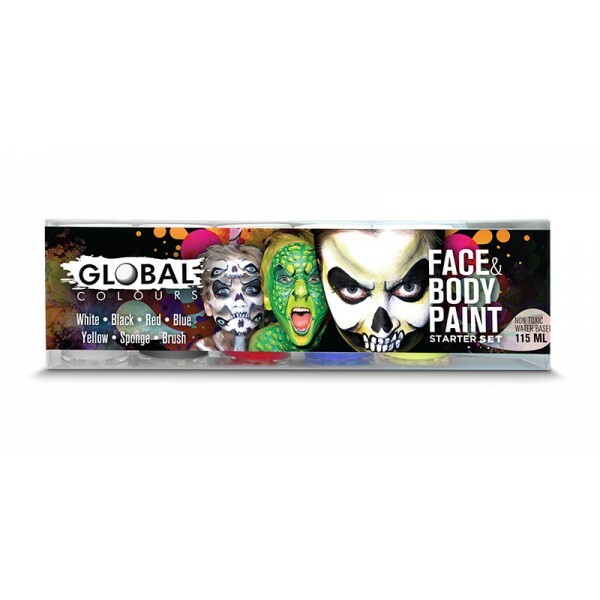 This set contains liquid White, Black, Red, Blue & Yellow BodyArt colour pots, 1 Sponge and 1 Brush! 115mL in total! Excellent value and superior quality! Thanks Global!